As a child I obsessively pored over maps and charts, any atlas or globe I could get my hands on, long before I could really read or understand all those mesmeric names and places. It was the beauty of them as objects in their own right and what they represented – the imagining of dreams made real. 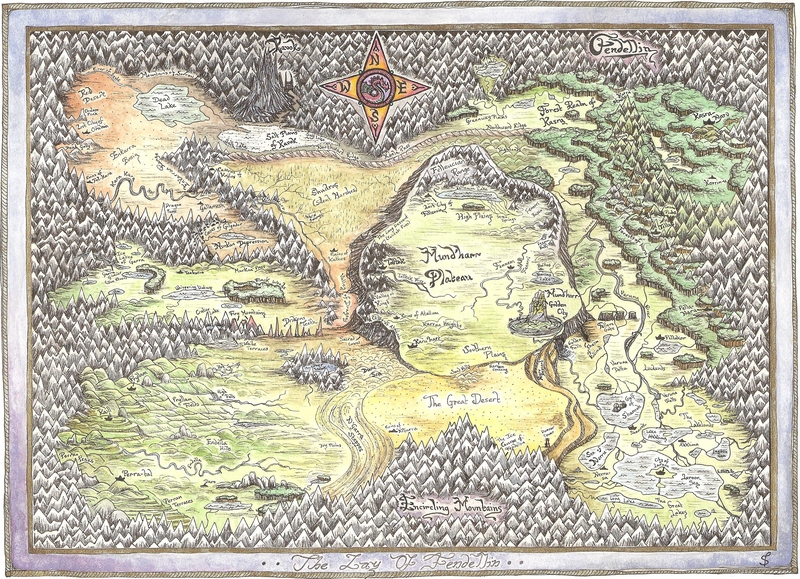 When it comes to fantasy, you can imagine what I’m like when I see a map inside! 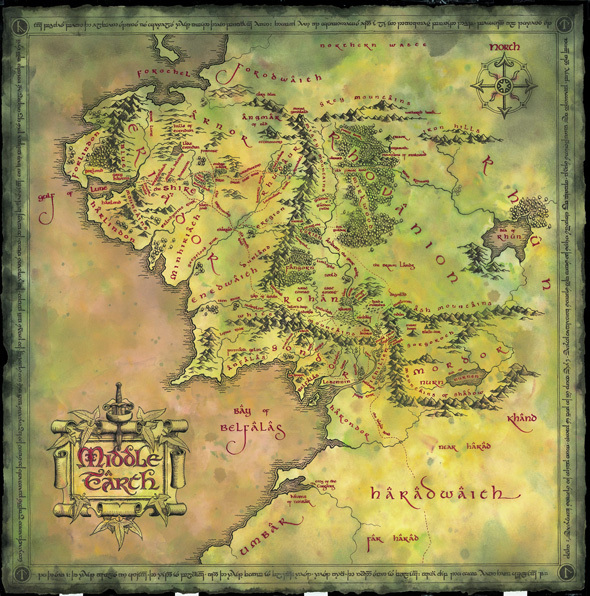 I grew up enthralled by the maps of Tolkien, tracing Bilbo’s journey in The Hobbit and later, Frodo’s adventures in The Lord of The Rings. E.H.Shepard’s wonderful ‘Hundred Acre Wood‘ map from A.A. Milne’s Winnie-the-Pooh books, the maps in G.R.R.Martin’s novels etc etc. Just sheer bliss and wonderment! 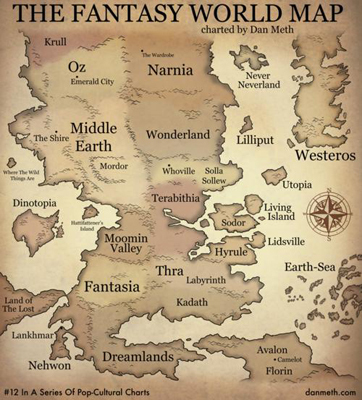 Yes, maps in fantasy books have become another cliche…but you know what? I don’t care, I LOVE them! 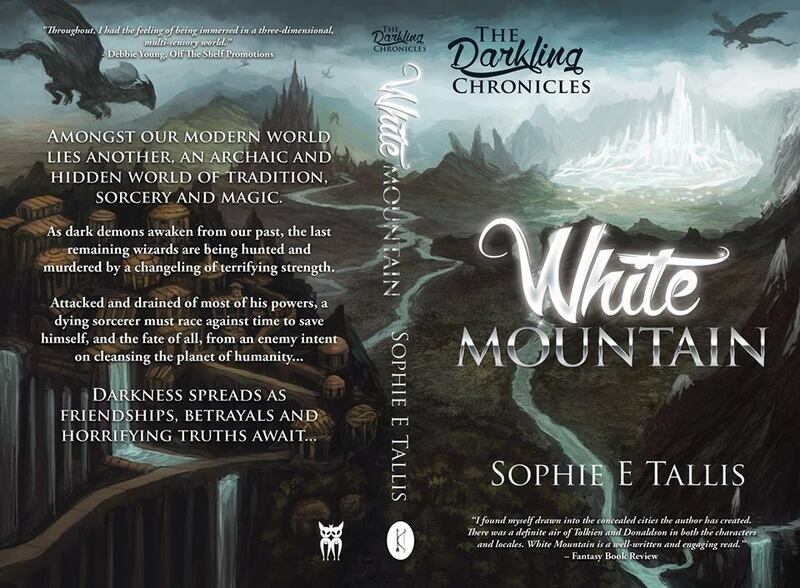 So when writing and illustrating my first novel, epic fantasy adventure, White Mountain – Book 1 of The Darkling Chronicles, it was a no brainer to include a map. Afterall, creating fantasy worlds is about the most fun you can have with or without your clothes on. Exploring the subtleties of character, the twists of plot, the deepening of a storyline, the embellishment of a rich history and back story and mixing all those elements and more into one sumptuous thrilling world. Yes…it really is one of the most exhilarating endeavours. So to encapsulate a part of that rich world in a visual way, to draw the reader in as I was drawn in, was an opportunity I couldn’t miss. Also for me, as a lover of fantasy especially epic fantasy, to be able to construct a believable world, grounded in reality and embody that world in a map…was just the best. With that love of maps also came a love of names, etymology – the meaning and derivation of words. For my map ‘The Lay of Fendellin’, Fendellin literally means ‘in a dell or hollow and by a fen/water source’ – very appropriate for the land I invented. My Fendellin itself was inspired by the Tibetan and Buddhist beliefs in Shambhala, a mythical and legendary land still hidden within the Himalayas and untouched by the outside world. A very potent idea. Many people still believe in Shambhala, I wish it existed too. It has inspired stories down through the ages, not least James Hilton‘s ‘Lost Horizon’ where he turned the Shambhala legend into his utopian paradise Shangri-La. My Fendellin is wondrous indeed, but could never be described as utopian. Amongst the soft plains of blue mountain poppy and frolicking tarpans (ancient horses), there is always the omnipresent malice of Kavok’s Peak in the distance, birthplace of Morreck the book’s arch villan. Yes, my Fendellin is beautiful indeed but has become a gilded prison for many who live within its Encircling Mountains, unable to esscape. Mund’harr, the capital of Fendellin, a towering mountain on the Mund’harr plateau with its small city and hanging gardens clinging in winding tiers about its pinnacles, literally means ‘High Mound’ in various Old Norse, Frissan, Germanic and English languages. Shudras, the ‘silent marshes’ of Fendellin, is an Indian word derived from ancient Sanskrit which refers to the lowest of the traditional varnas or social classes, oppressed people many of whom worked and lived in swamp areas. Also refers to any of several species of dark serpents inhabiting the swamps and jungles of South India. Fendellin’s largest water course, the great Varuna River, is again derived from Indian Sanskrit. In the ancient Vedic religion, Varuna is the god of the sky and water, ruler of the celestial ocean. Again, in Hindu mythology and post-Vedic texts, Varuna was the god of all the water elements, keeper of the oceans and rivers and god of the dead who could grant immortality. As the inhabitants of Fendellin are all dworlls, with hugely expanded life cycles to our own, all of this seemed a perfect fit. I could go on…but I’d bore you all silly. Suffice to say, that maps and names hold a special power for me and weaving them into a mixture of actual ancient myth, my own invented mythology and reality is such a heady thrill! This entry was posted in Artwork, Daily Hello!, Etymology - What's in a Word?, Fact or Fiction?, Inspiration, White Mountain and tagged A Song of Ice and Fire, adventure, ancient mythology, art, authors, books, Buddhist beliefs, creativity, debut novel, derivation of words, epic, Epic fantasy, etymology, fantasy, fantasy maps, G.R.R. Martin, god of water, Himalayas, imagination, India, indie authors, influences, inspiration, James Hilton, maps, mythos, new author, novelist, novels, obsession, Old English, Old Norse, publishing, rich history, Sanskrit, Shambhala, The Hobbit, The Lord of The Rings, Tibetan legends, Tolkien, vedas, Vedic religion, writers, writing. I rather suppose I’m a map junkie as well. A quick count on my bookcase has revealed 85 maps…. Lol! I knew I could rely on you! Yeap, a couple of map freaks. One of my favourites is the replica 1610 map of Gloucestershire I have…really lovely! Absolutely with you on this. My maps are not really of publishable quality but they are in my head, always, when I write. There’s a new book out all about maps that I think you would love – my mum’s getting it for my husband (also a map fanatic) for Xmas so I’m looking forward to reading it too! http://www.amazon.co.uk/On-The-Map-world-looks/dp/1846685095/ref=sr_1_1?ie=UTF8&qid=1355824150&sr=8-1 His book about typography, “Just My Type”, was a brilliant read too. Gosh, I must suggest map books as a new idea to encourage reluctant readers to read – will nip over to Readathon Facebook page and do that now! Thanks for the inspiration, Sophie! Oh thank you Debbie! That’s so sweet of you. Yes, I absolutely adore maps and map books. Found myself buying a couple when I was over in Hay for the festival. I’ll check out your recommendation, cheers. Yes, the children in my class LOVE maps and so does my little 4yr old goddaughter.When I was little I used to love the maps in Winnie-The-Pooh and other books, they are such wonderful visual references for children. Well, I absolutely love your artwork. That map at the top is truly excellent! 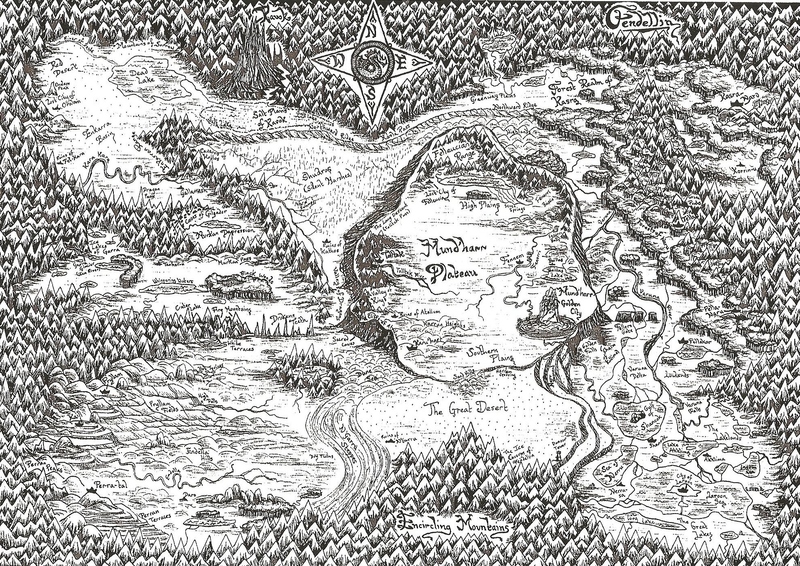 An interesting article on creating maps for fantasy novels, as well as choosing place names by using your knowledge of ancient and foreign languages, something I have also done with many of the place names (and some character names) in m own work. You’re welcome, Sophie. 🙂 I think there’s a certain subconscious element to strategically choosing names; I think the reader, whether they know their languages or not, will ‘pick up’ on certain references, or at least get a dim sense of what we as writers are conveying with the names we’ve chosen for our places, characters and all other things in our worlds. I might not know what ‘Bwana’ means, but I might get a sense of fatherly wisdom and authority from the way the author conveys a particular character to me. I might not grasp the meaning behind ‘Mount Eviga’ (That’s one of mine; you can’t have it!) 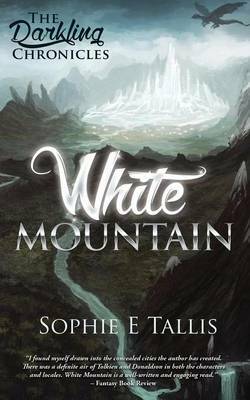 but from the way it’s described I might get a sense of how this mountain has been prominent in a certain culture’s history, appearing not only in their oldest legends, but also in their most ancient mythologies. We as writers know why we’ve chosen the names, and by doing so we’re not only adding more depth to our worlds or giving them a bit more of a sense of authenticity, but in a subliminal way we’re also educating our readers without patronising them. Loved the art! Currently looking where I can find a good software that can help me with the map for my novel. Thanks mate. Ah, when it comes to software I’m a complete novice I’m afraid, all my art is hand drawn and painted, my IT computer skills are pretty crap. 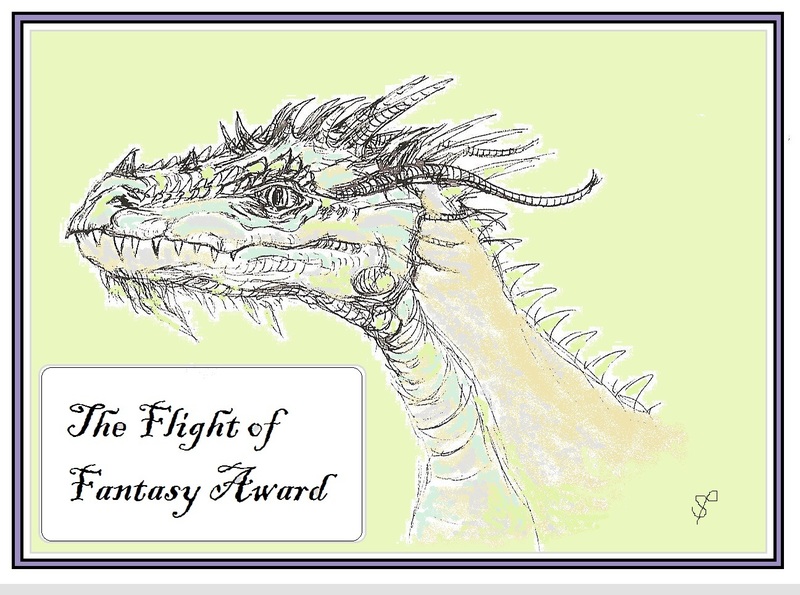 Try contacting Ben Galley, a self-published fantasy writer, lovely guy too and good writer, anyway he may know some software programs to use as I think he uses them for his own fantasy maps? 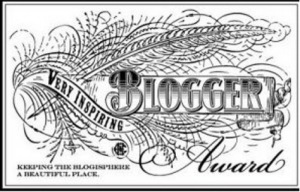 Well, I’m definitely no expert, but my advice is to blog regularly, once a week if you can. I’m only blogging once a month at the moment as I’m in the middle of a large project so don’t have the time I’d like. But if you can blog regularly on a variety of subjects you’ll attract a good following. 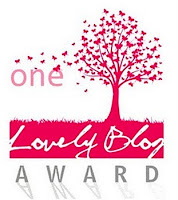 Some of my friends blog every day, I personally wouldn’t recommend that as, unless you have something to say, it becomes too much. Very best of luck!